The latest position report from Taupo Maritime Radio has been received and most of the fleet are continuing their course north towards Noumea. 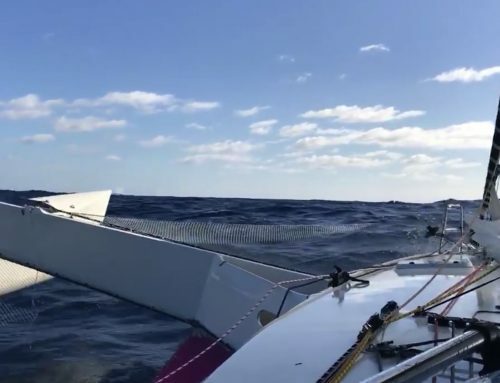 Ran Tan II, currently leading on line in monohulls, overall and PHRF, have reported they have “three reefs in the main with the storm jib hoisted.” They are cruising along at 9 knots on a course of 346 degrees. 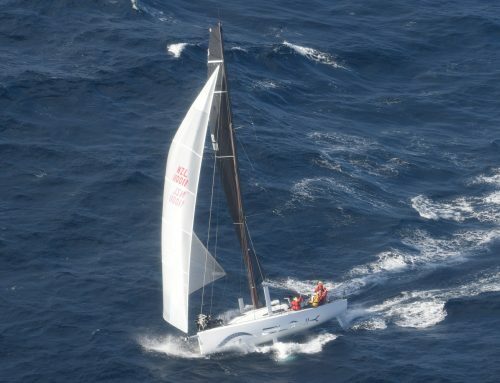 Miss Scarlet is currently leading IRC overall and and have reported 30 knots of wind strength. At the time of providing the position report, Equilibrium was making good ground with speeds of 11 knots on a 340 degree course. 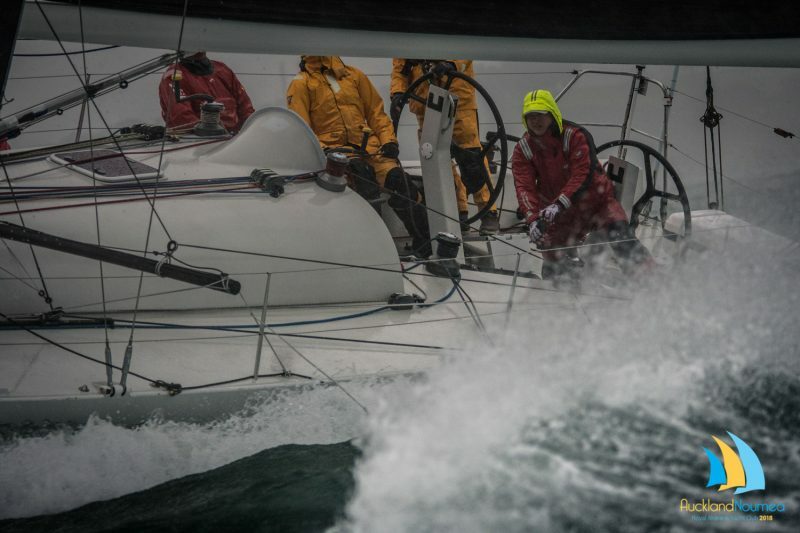 Blink have reported 7-8 knots of speed and are also making ground. Furax2 are trucking along slowly. They are determined to get home to Noumea where the weather is outstanding! And then there is Notorious, who had the Race Management team eagerly watching their track, however they are cruising at 6.2 knots. 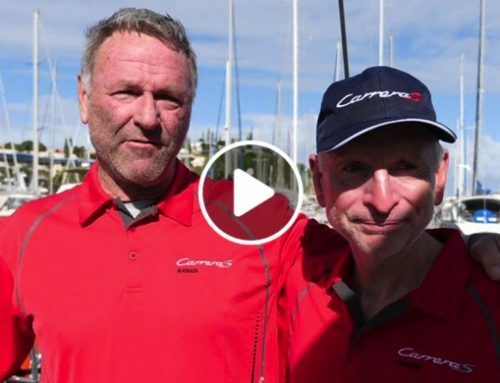 CarerraS are heading to Opua citing “engine issues”. We will continue to follow their progress. Ave Gitana and Moody Blue are still waiting out the weather. Ave Gitana has advised they could depart as early at 0300 hours Tuesday 5th June, with Moody Blue setting sail sometime after dawn.